The ultimate collection of baseball's greatest records.Every baseball fan knows the sport's key record holders: Barry Bonds is the home run king, Cy Young is the winningest pitcher, Rickey Henderson is the greatest base stealer. But what about those lesser-known milestones and achievements &#8212; the arcane trivia that hardball fans crave? 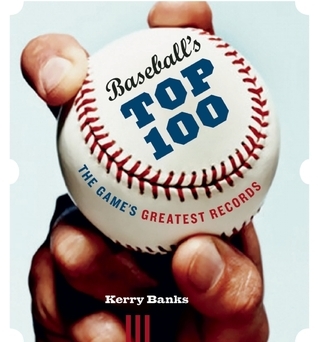 In Baseball's Top 100: The GThe ultimate collection of baseball's greatest records.Every baseball fan knows the sport's key record holders: Barry Bonds is the home run king, Cy Young is the winningest pitcher, Rickey Henderson is the greatest base stealer. But what about those lesser-known milestones and achievements &#8212; the arcane trivia that hardball fans crave? In Baseball's Top 100: The Game's Greatest Records, sports writer and trivia master Kerry Banks compiles the ultimate collection of achievements on the diamond. Grab a seat in the bleachers, buy some peanuts and Cracker Jacks, and relive the greatest-and sometimes strangest-moments of the grand old game.Kerry Banks is an award-winning magazine journalist and author. His published works include Pavel Bure: The Riddle of the Russian Rocket, records books on hockey and basketball such as The Unofficial Guide to Basketball's Nastiest and Most Unusual Records, and the children's Hockey Heroes series. He lives in Vancouver, British Columbia.